E.A.G.L.E. 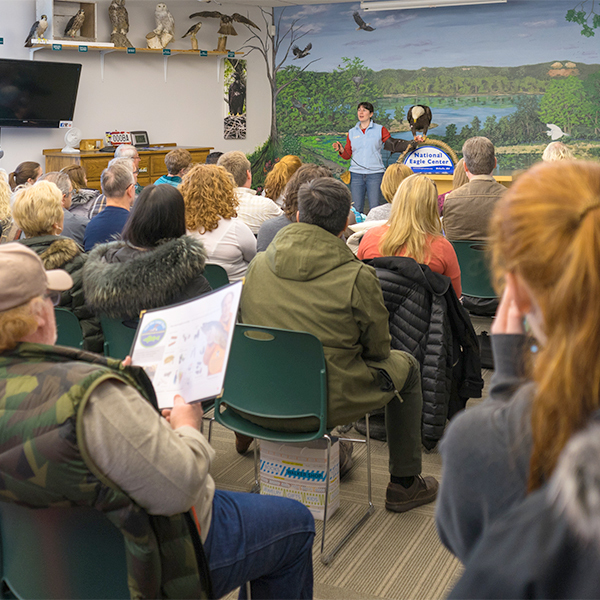 is an on-going, informal program available to every visitor, all day, every day in the eagle display area! 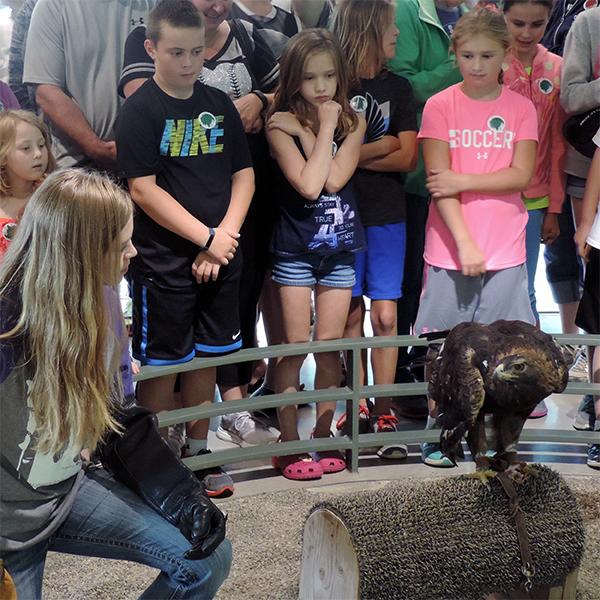 Meet LIVE bald and golden eagles up close! Perfect for small children or visitors with limited time. Join our eagle experts and eagle ambassadors in the ‘mew’ and get answers to all your eagle-related questions. A great photo opportunity!